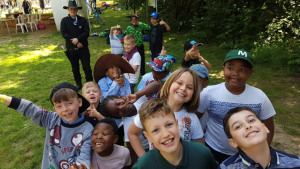 On Sunday 10th June 2018 Myself and 10 Cubs attended our annual Cub and Beaver Fun Day at Frylands Wood Scout Campsite. Each year the theme for the event is different and this Year the theme was Wild West. We arrived at the campsite for 09:45am and proceeded to the meeting point. At 10:00am all the activities on site and inflatables were open. We could then go round and participate in the activities that we wanted to do. 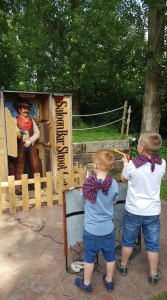 We were very lucky that the weather stayed nice all day as most people including Adults and Kids were dressed up as Cowboys and Indians. The campsite made decorations for this event including a Jail, where you could go inside and have your photo taken. There was also wagons and hay bales around the campsite. 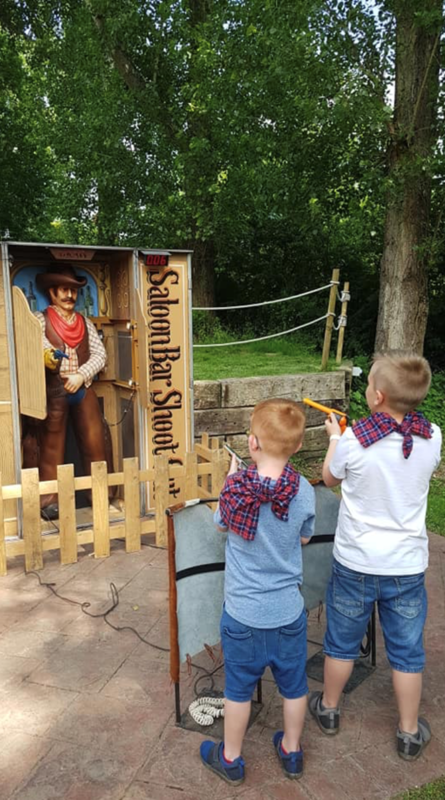 We took part in a lot of activities through out the day including Archery, Assault Course, Laser Tag, Sheep Rodeo, Saloon Shootout, and many more. 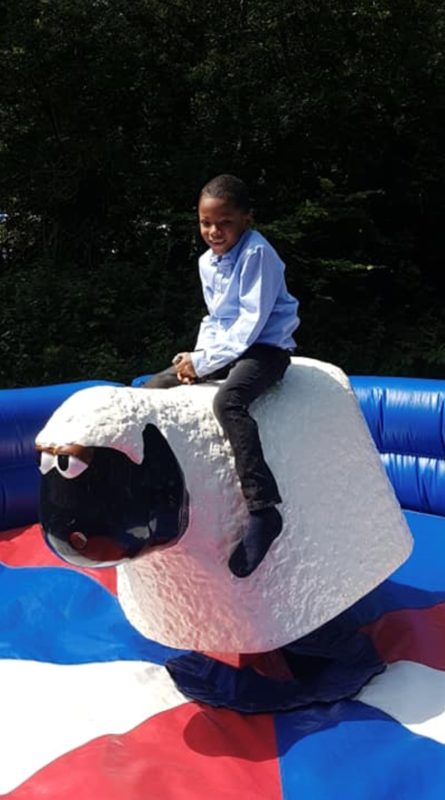 The Cubs really liked the inflatables including the Assault Course and Bungee Run. We are looking forward to next years Cub and Beaver Fun Day. A full map of where we are based can be found on our Find Us page. Please get in contact if you have any questions or concerns regarding this.